VIA: Station closures put lives at risk, firefighters say. Sydney fire stations have been closed for thousands of hours this year to manage staff costs, prompting claims that some stations are in the cross-hairs for permanent closure and that a tragedy is only a matter of time. 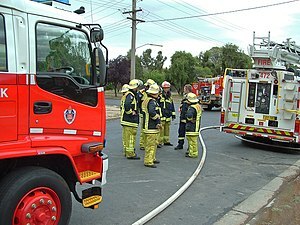 NSW Fire and Rescue said some of the 87 permanent stations had been closed for 864 shifts since November – or an average of one or two a day, in a bid to rein in its overtime bill. Known as taking a station ”temporarily offline,” the practice involves closing a station that is understaffed because of sickness and sending the rest of the firefighters elsewhere. Neutral Bay was the most frequently closed since the policy was introduced on November 19, according figures collated by the Fire Brigade Employees Union. It was closed for up to 14 hours 68 times, including 20 occasions when crews were sent on ”standby” to cover another station that the union said would otherwise have been offline. This was followed by Mascot, which was closed 61 times, including 22 standbys; Ryde and Concord, each closed for 54 shifts including 23 and 24 standbys respectively; and Newtown, which was closed for 48 shifts, including 16 standbys. NSW Fire and Rescue, which doesn’t count standbys in its offline statistics, has cited an Auditor-General review that found firefighters had the highest rates of sick leave of the public sector. This came down by 17 hours to 101 hours per employee last financial year. The service says the policy has cut its overtime bill by $8.7 million to $16.3 million in 2012-13.
policy. Mr Casey said taking stations offline increased the risk of injury or death when remaining crews were required to cover a larger area. The union says it has identified instances where stations have been taken offline because of staff holidays, rather than for sickness. Station closures put lives at risk, firefighters say.